Today I am sharing with you the third and final part in the series 'A Parisian Life'. In Part One Tahnee introduces herself and her family, talks about why they made the decision to go and live in France, and takes us through the busy period prior to their departure from Australia. 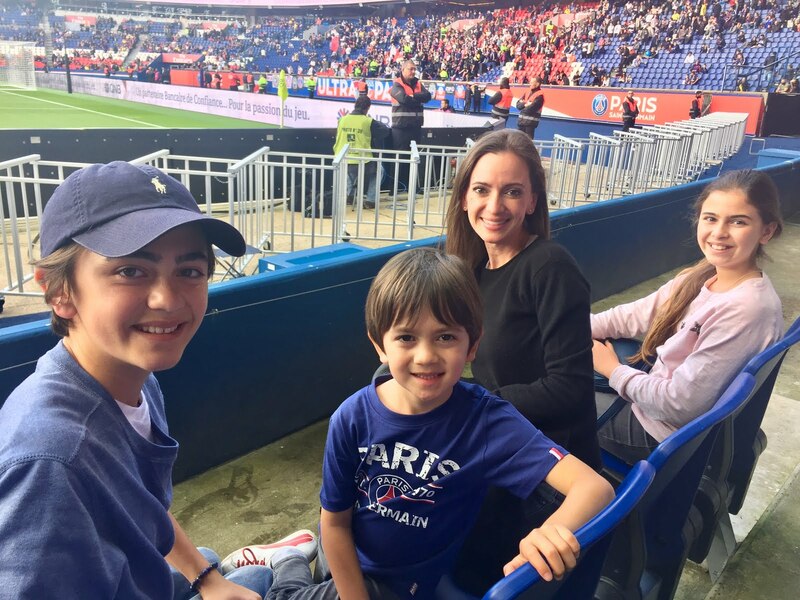 In Part Two, we hear more about the day-to-day life of the family once in Paris and, in particular, how Tahnee's three children managed the transition. If you are thinking of doing the same thing - going and living with your family/children in France, I know that Tahnee would be more than happy to answer any questions that you might have (@treasuredjourneys) as would I.
I hope that you enjoy Part Three. Bonne lecture! Can you share with us a couple of the most memorable experiences of your time in France? Occasions that bring back happy memories are the times we shared with people. To give you just one example: Our first stop on a big road trip was in Dijon. My husband had met some people through mutual friends whilst on a previous work trip in France. They had said to him to please call them if ever we were in Dijon and invited us to their family home. We were met with such warmth and hospitality. Only two people out of eight spoke English, but this didn’t prove any difficulty as conversations flowed; it was magical. 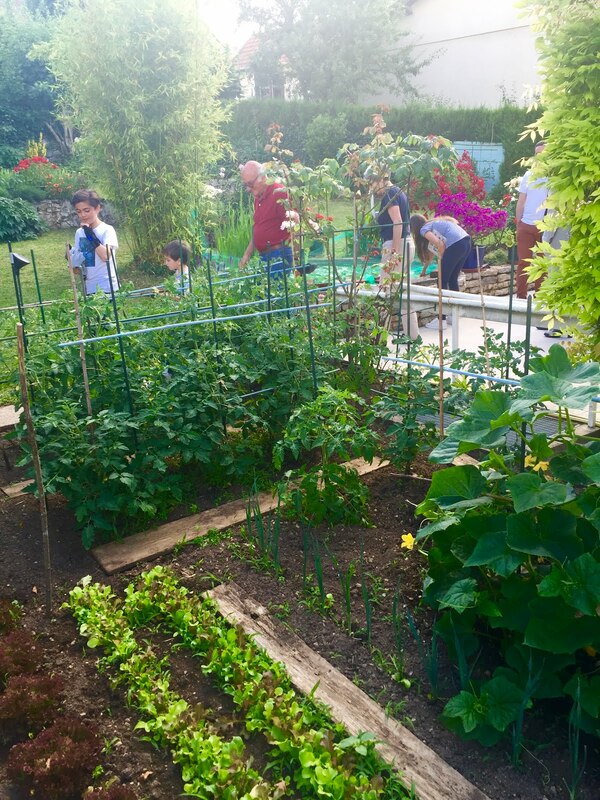 The grandparents' garden was amazing, they grew a lot of produce and lived off what they grew. Perhaps it was because we hadn’t been around our own extended family in quite a few months, but being there and being shown around their garden made us feel part of something. The kids enjoyed picking raspberries, seeing all the things that were growing, hearing the spoken French and being with people who were so welcoming. We felt like we were with family, or that we had known them for a long while. It’s funny because you will read that French people are usually very reserved, and not too willing to find new friendships, or let people in. This for us could not have been further from the truth. We found the people we interacted with to be warm, inclusive and simply lovely. Everywhere we went we were always made to feel welcome. My French tutor became my friend. I discovered that her husband was just as passionate about wine as my husband. So we arranged a dinner for our families to meet. All of us had a wonderful time, and many subsequent dinners and outings occurred. Our children still keep in contact with each other. Even my beautician (who did home visits for waxing!) became my friend. In fact, after only being back in Australia for three months, she came to visit us for three weeks. My children would say that dog sledding through the snow, ice skating on the Eiffel Tower, parasailing through the waters of Monaco, tree top climbing in Provence, electric bike riding through Champagne, swimming in the ocean in Cannes, visiting the battlefields in Normandy, picking lavender in Sault, eating falafels in the Marais, getting their tongue stuck on an icy pole from their favourite icy pole shop, scootering through the streets of Paris, floating boats in the pond at the Luxembourg gardens, being in a school drama production, would be just a few of their favourite things. They were extremely fortunate to have done so much, including travelling throughout Europe, and to have seen and experienced so many different things. Another highlight for us was the Eiffel Tower. Every night the large light that rotates 360 degrees would shine straight into our living room. We all loved seeing this and on the hour loved watching her twinkle away. Every night my youngest son and I would stand by the window and say goodnight to her, and wait for her bright light to shine directly at us. We never tired of this and did this every single night. Back now in Australia, what do you miss the most? 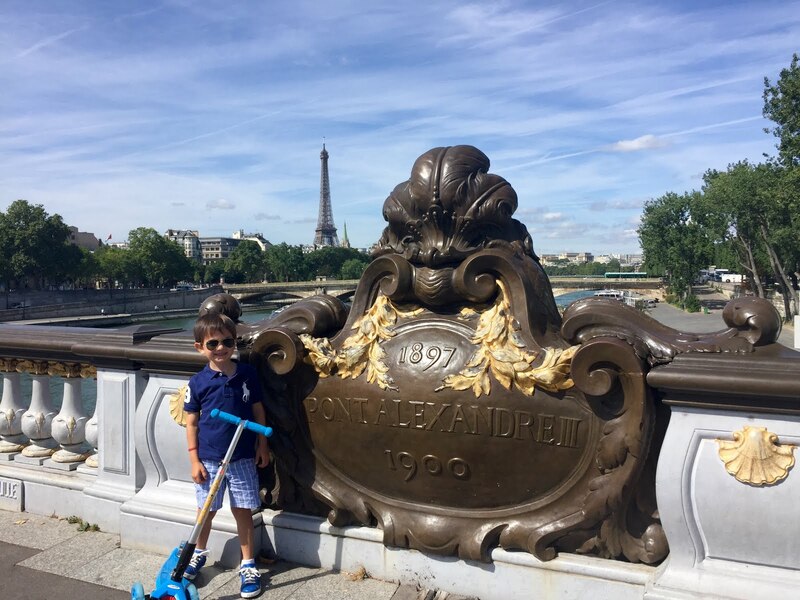 How do the children view their French adventure? There is not a day that goes by that I don’t think of our time there. I can truly say I loved it, and if I could move back, I would. As easy as life is here in Australia, I would still move back. I miss the city, the buzz, the people, the language, the culture. There is so much to do there, you’re never bored. Also being so close to so many countries is amazing. The ability to travel and not take a lot of time to get to other European cities is fabulous. I found we did more on weekends there than back home. We made the effort to go to different places and not sit around. There certainly were weekends at home too, when schoolwork and assignments ruled over going anywhere, there were times where we did simply sit at home and relax. But with so much to do and see, exploring was always something that we really wanted to be doing. We didn’t want to stay indoors, we wanted to find out about other villages and towns. Australia is spread out so widely, so to do what we did in France doesn’t happen here, as places take considerably longer to get to. I loved showing friends around who came to stay with us. 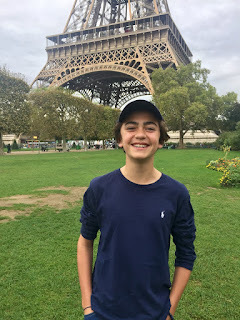 Seeing Paris through fresh eyes is a delight and to see their wonder and excitement made us all so happy. The kids were so happy to be tour guides and share their knowledge. This showed us how much they had taken in, understood and remembered. I loved listening to them and found this really special. The children recognize and understand how fortunate they have been. The gifts of travel and of living overseas have been invaluable. We are constantly talking about our time away. I like to do this to keep the memories alive, especially for my youngest son, as these early childhood memories are easily forgotten. So far so good. They are still there. He even reminds me of things we did. I took them back to Paris after we had been home for eleven months. We were all missing it so much, we needed a little Parisian fix. The first day we were there they all said to me that they felt like they were home and we all felt very peaceful. I love how they know their way around the city, and know where they’d like to go. I often think that when they go back as adults with friends, it will be a very familiar place for them, that they won’t really be a tourist, it will be their second home. Overall, would you recommend the experience to other families? Life is too short, we need to get out there and live it. It’s very easy to get into your comfort zone and remain there. We chose to shake things up, to turn our kids' world upside down, we showed them a different way of life. To show them that different can be normal as much as normal can be different, was a life lesson indeed! We chose to challenge ourselves, to try a new way of life. The point is - we chose. Everything in life is a choice, and this is the path we chose, and have benefitted from it greatly. My husband and I wanted our children to learn to appreciate what they have in life, to acquire tolerance and understanding of others. It isn’t easy but, in the end, I think we’re all trying to do our best, no one is perfect, but with love and understanding it makes things a little easier. To any person thinking of making a lifestyle change, I say 'go for it'. There is so much to gain from the experiences you create, memories to treasure forever. I am sure that the children really do appreciate and are grateful for what we did for them which is really nice. They will often reflect and say things to us that show that their experiences have provided them with a rich tapestry in education. Thank-you, again, Tahnee for chatting with me and sharing your story and pictures. It has been a real pleasure. I'm sure that you have inspired many other families, and definitely given some ideas for future dinner-table conversations. Saying good night to a twinkling Eiffel Tower is a memory the kids (adults too) will treasure for a lifetime. It's so magical. I love that you love this. It is a magical memory. I'm so glad! Like Tahnee, we have no regrets and can honestly say that moving to France changed our lives. Good luck with your planning and if you'd like to chat via email, don't hesitate. What a wonderful thing you did for your children and yourself! They will never forget this experience! It's true...pushing oneself out of one's comfort zone can be surprisingly rewarding. To buy Catherine's book, 'But you are in France, Madame' click on image above. This Blog is a collection of stories, started when I was living in the French Alps with my husband and three children (originally under the title Conversations from France). It was never meant to be a daily diary, nor was it necessarily chronological. It did; however, reinforce, despite the tongue-in-cheek nature of some stories, how much we loved living where we were. Returning to Australia, I continued to write. It made the transition easier and was a wonderful way to not forget our special few years. 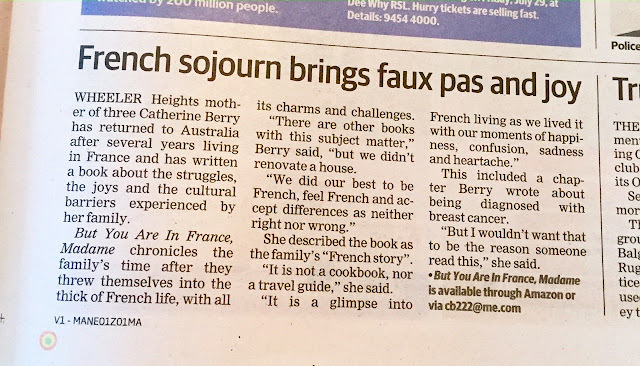 My book, But you are in France, Madame (above), was the result. Please contact me for more information (cb222@me.com) or click on the picture if you are interested in purchasing a copy. Copyright. Catherine P Berry. Simple theme. Powered by Blogger.